Today I have three more lovely dresses to show you for my Dear Prudence blog tour. Sara from Made by Sara, Anke from Amore and An from StraightGrain are sharing today. Throughout the tour (which runs Monday, Tuesday and Friday this week and next), you can receive 15% off my latest pattern with code: PRUDENCE15 (apply at checkout). You can buy Dear Prudence here. Sara blogs from Portugal at Made by Sara. 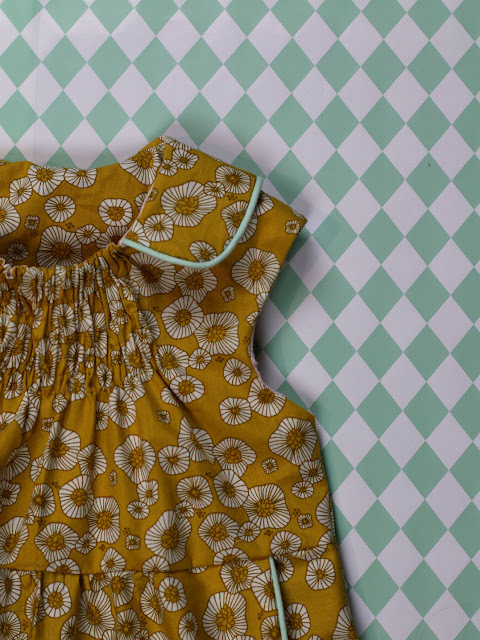 Sara makes beautiful clothes for her kids and also sews for herself. She has a real passion for sewing and it shows. Sara is hosting a very exciting sewing series next week which I am participating in. 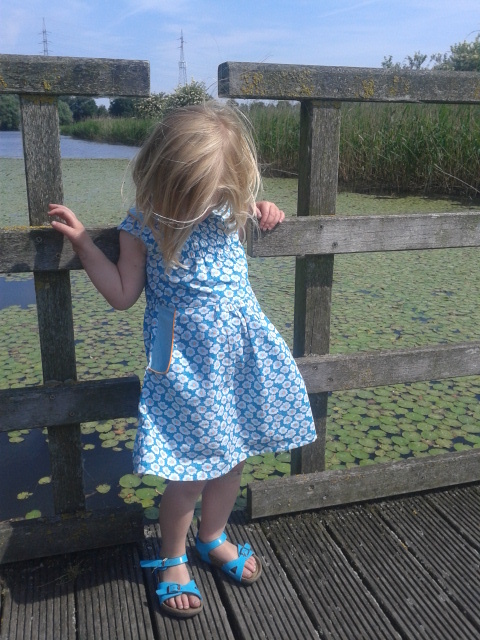 Head over to Made by Sara to see more of this beautiful colour blocked Dear Prudence dress. Anke blogs from Amore. Shes lives in Belgium and I am a new follower of her blog. Anke kindly helped me with testing my pattern and I was very excited to see the first photos of her gorgeous blue dress. She makes gorgeous and colourful clothes for her kids and you can see more of her Dear Prudence dress here. An from StraightGrain is one of my all time favourite sewing bloggers and she is a lovely person too - we have been blogging friends for a while now:) An makes gorgeous clothes for her two daughters and has released several successful sewing patterns in the past two years. Her blog is full of lovely inspiration! I just popped over to discover she has just released a secret dress pattern - jaanu. Very sweet! 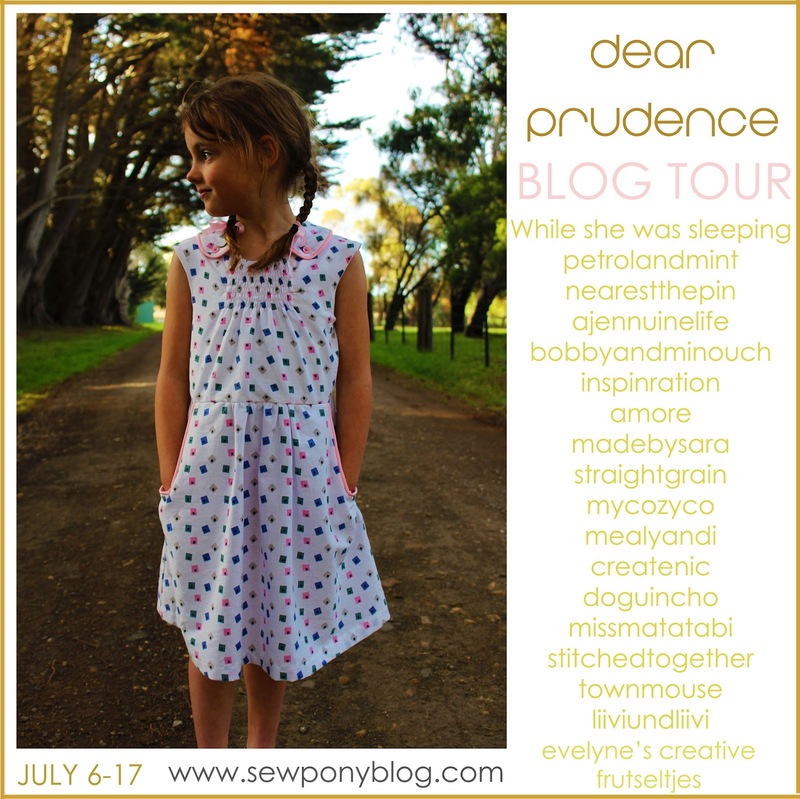 I just love the fabric she has used for her Dear Prudence dress - apparantly it is for Ava, so I can't wait to see. Head over to StraightGrain to see!